Home » Featured » The BIG book of Fibery Rainbows! I am very proud to announce that after some years of planning, writing, fiber prep, spinning, and photographing everything step by step, we (myself and Arlene) have now officially launched our first Fiberygoodness.com Print Book!! 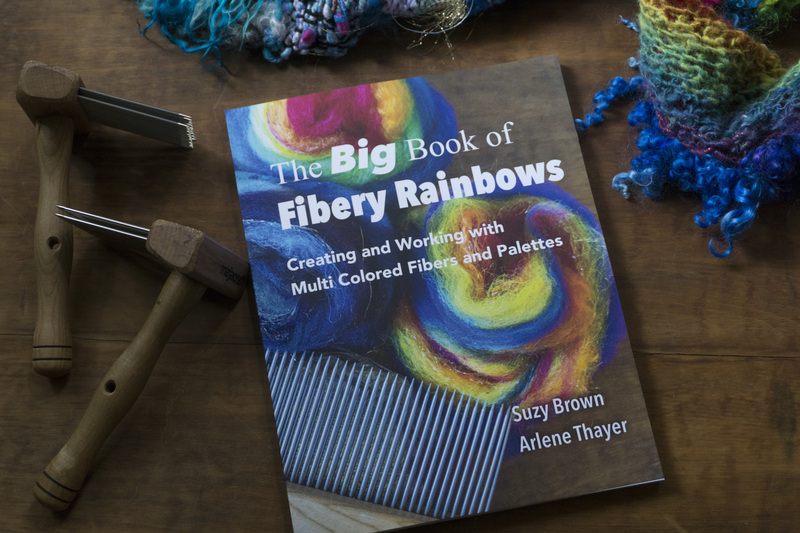 With foreword by Lexi Boeger (Pluckyfluff) this is a book for any fiber artist who loves colour, who is inspired by many colours together, in fact, if you love multicoloured fiber this book is for you! It is also for you if you are enraptured with the beauty that is blended fiber colour (or are curious about it!) as we take you through the process of creating your own colours from the primary three, with all the amazing optic richness that uniquely contains. 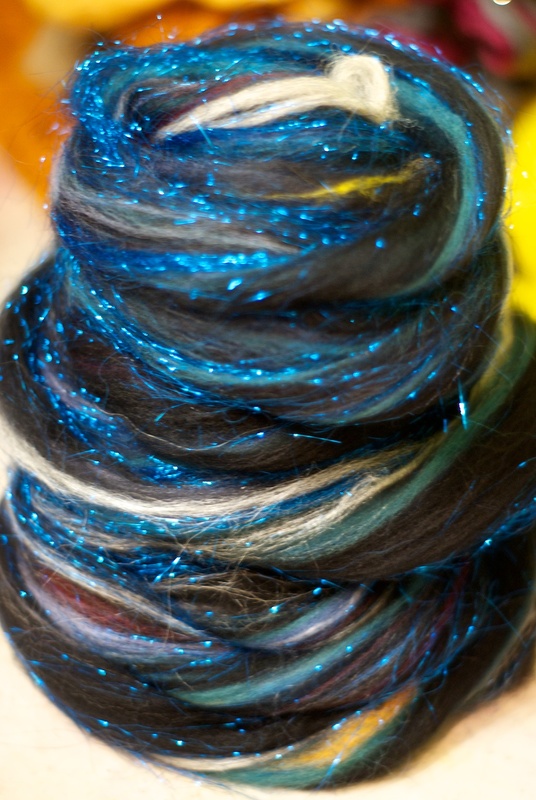 There are so many GOOD reasons to blend rather than dye to get the colour you want, including the dynamic richness you can only find in this kind of blend (and the sparkles and silks you can add into it too!). If you are wondering what fiber prep tools you need, or are looking for new and exciting ways to use the tools you already have, we teamed up with Majacraft who supplied the beautiful tools you see in the many many full colour images (and who I believe make the best tools on the market today!) 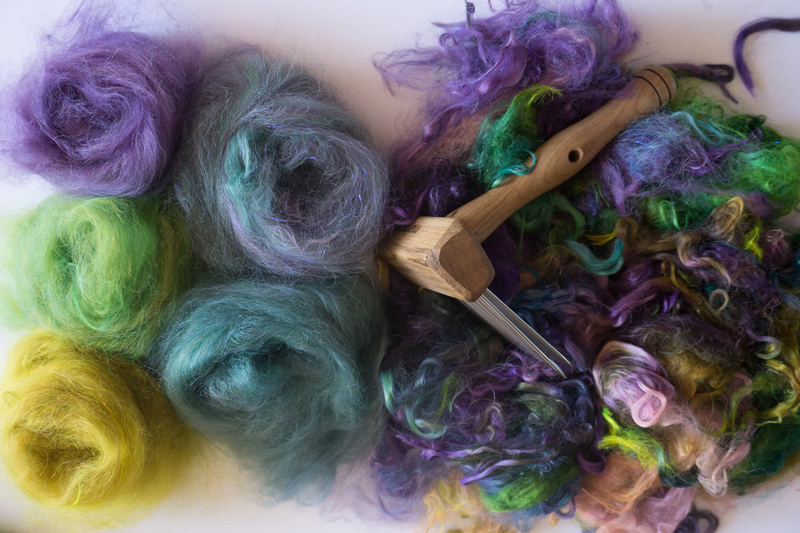 and packed the book with tutorials and step by step guides to combing for colour, organising your blending board rolags, creating stunning batts on a drum carder, and making the most of your hackle. This book is all about rainbows, but also much more, it is about how to create and use any multi coloured palettes and fiber preparations, and THEN we show you how to spin them to make the most of your colours! It is all about colour management from prep to finished yarn. The book includes a yarn recipe chapter to share ways to spin your colours, and concludes with a Gallery of finished rainbow projects to inspire you in ways to use your yarns. Please scroll down to view the flick through of the book and see what is in store for you! I am very proud to be able to tell you that this book was created entirely by myself and Arlene, we schemed it, wrote it, and I did all the photographs and layout myself too, order as print on demand from Amazon! It is a large, almost 200 page full colour book packed with information (everything I know!) and stunning images that will brighten your day and hopefully send you to your stash to play 🙂 We hope you will love it as much as we do! Hey! There is a yarn in there that I bought from you 😀 And was that the scarf with my brooch on it? I am definitely putting this on my wish list for my birthday, hee hee!